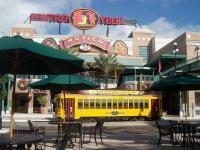 Ybor City Happenings in March! 1st U.S. Volunteer Cavalry Regiment Rough Riders hosts an annual St. Patrick&apos;s Day Parade in Ybor City. Thousands turn out to celebrate, watch the parade along 7th Avenue and catch lots and lots of beads! American Pinup Burlesque Fest connects pinup, burlesque, and rockabilly artists and enthusiasts. The festival activities include Miss Pin Up America Pageant, the Burlesque America Competition, hot rod and motorcycle shows, special guest burlesque performances, workshops on pinup, burlesque, hair, make-up and photography, live bands, and a tattoo competition. On Saturday night, Animal Planet&apos;s Pit Boss Shorty Rossi joins the fun for Party Live a Pinup benefit for Pinups for Pitbulls. The Wines of Italy tasting experience will include samples of more than 70 wines from Italy while enjoying Italian cuisine from Carraba&apos;s, desserts and live entertainment. The event benefits the Italian Club Restoration Fund. HCC Visual and Performing Arts presents Julian Toha in Piano in 3D. Experience award winning Italian films at Festa Italiana&apos;s Cinema Italiano while enjoying espresso and dolci. On Friday, Cinema Italiano presents The Mid-August Lunch. Donations accepted at the door to benefit The Italian Club. A full day of free, family-friendly activities on Festa Saturday includes the annual Bocce Ball Invitational Tournament, Italian Idol competition, homemade vino competition and tasting, and an assortment of Italian food alongside the Ybor City Saturday Market. Experience award winning Italian films at Festa Italiana&apos;s Cinema Italiano while enjoying espresso and dolci. On Saturday, Cinema Italiano presents Christ in Concrete. Donations accepted at the door to benefit The Italian Club. A true taste of Italy in historic Ybor City. Festa Italiana includes 30+ restaurants and caterers, entertainment, Grape Stomping presentation, cooking demonstrations and contests. Entertainment will include singer Matt Morgan, The Russo Brothers, The Fabulous Rockers and Bella Danza Dance Collective. The celebration kicks off with Sunday Morning Catholic Mass at The Italian Club followed by a Procession and Walking Parade to Centennial Park. Judith Salmon uses wax to express the changeable and fleeting nature of things. Renowned Aripeka artist Leslie Neumann layers pigment, melted beeswax and oil paint to create paintings with a haunting luminosity. The Ybor City Museum Society&apos;s featured exhibit, Ybor City Architecture: Our Stories, celebrates the dynamic stories and transformation of Ybor City&apos;s iconic buildings, unique casitas and signature architectural elements. Now, there seems to be something for everyone, no matter what you&apos;re looking for, so stop by and see what these events are all about. Plus, there&apos;s so much more. If you&apos;re looking for more information, just visit www.YborCityOnline.com. The site also has a directory of restaurants and shops. And we&apos;ll see you back here for more Tampa Bay area events.